British aid minister Priti Patel was forced from office on Wednesday (Nov 8) over undisclosed meetings with Israeli officials after Prime Minister Theresa May sought to reassert her diminished authority as she negotiates Brexit. Patel, a Brexit campaigner who is popular in the ruling Conservative Party, had to abandon a trip to Africa earlier on Wednesday after being summoned by May to answer questions on more unsanctioned meetings that breached diplomatic protocol. After a hastily arranged meeting not long after Patel landed in London, May’s office released her minister’s letter of resignation, in which Patel said her conduct in Israel had fallen “below the high standards” required of her post. “While my actions were meant with the best of intentions, my actions also fell below the standards of transparency and openness that I have promoted and advocated,” Patel wrote in the letter to May. 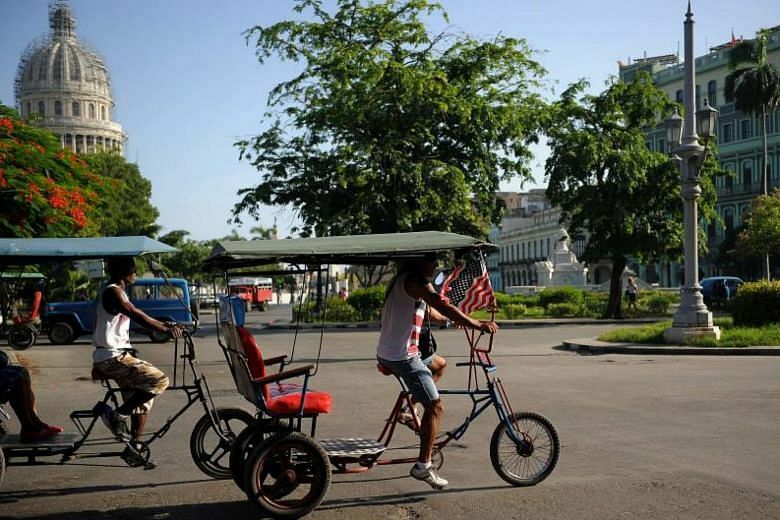 The US government made it tougher on Wednesday (Nov 8) for Americans to visit Cuba and do business in the country, making good on a pledge by President Donald Trump to roll back his Democratic predecessor’s move toward warmer ties with Havana. More than a decade in the making, the Louvre Abu Dhabi opened its doors on Wednesday (Nov 8), drawing French President Emmanuel Macron to the Middle East on his first official visit. Pausing to shake hands on a red carpet lining the all-white path leading to the museum, Macron and France's First Lady walked side by side with Abu Dhabi Crown Prince Sheikh Mohammed bin Zayed and Dubai ruler Mohammed bin Rashed. 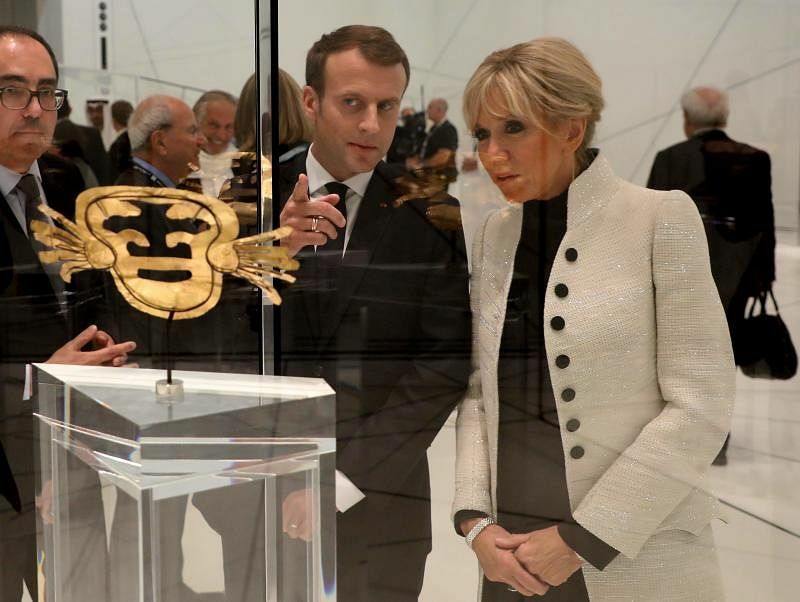 Macron, who is also scheduled to hold talks with UAE officials, toured the 12-gallery museum - the first to carry the famed Louvre brand outside France - shortly after touching down in Abu Dhabi, along with the heads of state of Morocco and Afghanistan. 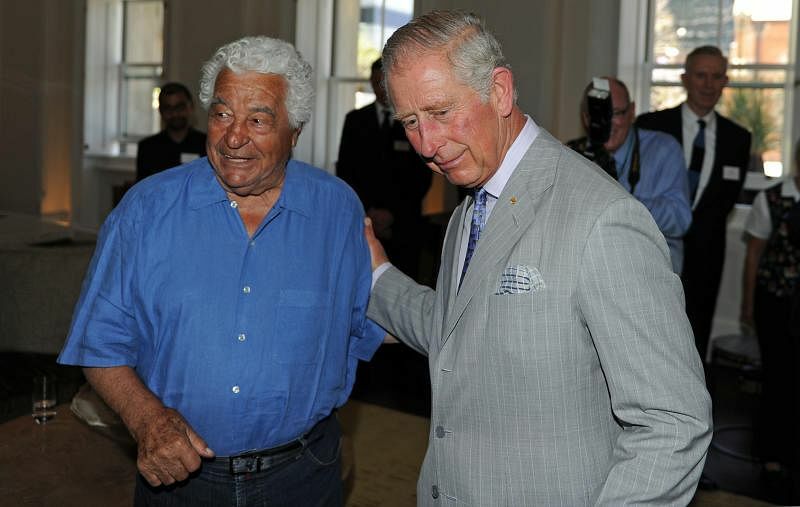 Italian celebrity chef and restaurateur Antonio Carluccio died on Wednesday (Nov 8) aged 80, his website said. The London-based Carluccio was known for his namesake restaurant chain, books that got Britain switched on to Italian food and his nurturing of the chef Jamie Oliver. Body clocks cause wounds such as cuts and burns sustained during the day to heal around 60 per cent faster than those sustained at night, scientists have discovered in a finding that has implications for surgery and wound-healing medicines. In a study published in the journal Science Translational Medicine on Wednesday (Nov 8), the scientists showed for the first time how our internal body clocks regulate wound healing by skin cells, and optimise healing during the day. Burns that happened at night took an average of 60 per cent longer to heal than burns that occurred during the day, the scientists found.